The world’s toughest and most waterproof motorcycle luggage system proven by thousands of adventure riders all over the world. Fits 2014 and newer BMW R1200GS Adventure. User Friendly - Caribou cases are pre-drilled with pre-installed waterproof lid locks, lid lanyards to keep the lid from swinging down, and gear retention straps to hold things in the case while you open it. Optional inner bags and liners make life even easier. 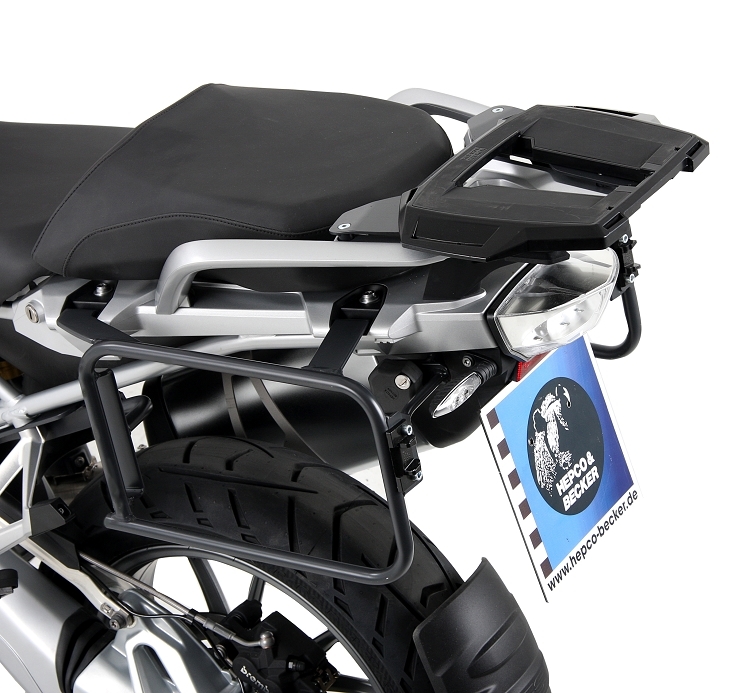 Flexibility - Super strong Hepco Becker “Lock-It” side luggage racks offer the best fit. Remove the rack in a few short minutes leaving behind small unobtrusive attach plates. Narrow and Light on the Bike - 36"-39" width (depending on bike model) across outside of cases at widest point on bike. Each case with mounting hardware weighs only 13lbs. Case dimensions are approximately External 55.9cm (22") x 47cm (18.5") x 21.6cm (8.5") and Internal 52.1cm (20.5") x 39.4cm (15.5") x 19.6cm (7.7"). 40 Liter capacity per case (80 Liter total). Full Line of Accessories - Liners, inner bags, SOLAS reflective tape, tie-downs straps and loops, lid organizers, and more.